There are more organisations in support of Lifestyle Medicine than can be listed here. We appreciate their ongoing collaboration and support! The Lifestyle Research Centre, based at Avondale College of Higher Education, seeks to ‘optimise health outcomes’ through research and education. The centre offers postgraduate courses in Lifestyle Medicine and is a worldwide leader in studying the health outcomes of a Lifestyle Medicine intervention called the Complete Health Improvement Programs (CHIP). More. The Food & Mood Centre is a collaborative research centre led by Deakin University. The Food & Mood Centre is committed to conducting high quality research that helps us to learn about how we might reduce risk, prevent, or even treat mental disorders through diet and nutrition. The centre is unique in the world: it is the only centre specifically focusing on this dietary and nutritional approach. They are a multi-disciplinary team studying the ways in which what we eat influences our brain, mood, and mental health. More. Deakin University’s Institute for Physical Activity and Nutrition (IPAN) is a multi-disciplinary research Institute, recognised nationally and internationally for its expertise in nutrition, physical activity, sedentary behaviours and obesity. IPAN is committed to improving health and quality of life through nutrition and physical activity research excellence, and fostering the next generation of research stars in nutrition and physical activity. IPAN’s research spans basic metabolism and physiology, through clinical and behavioural studies, to community and population-based research. Their research is solutions focused and used in the development of nutrition- and physical activity-related policy, as well as new programs. More. CHIP, an acronym for Complete Health Improvement Program, is an affordable, 30 day lifestyle education program with thousands of graduates worldwide. It is sponsored by local, certified leadership; is community based; and has a strong, ongoing support system. CHIP encourages a close working relationship with one’s personal physician. CHIP programs are presented all around the world with new locations being added continuously. Scientific and medical journals continue to praise CHIP’s methods of lifestyle change for coronary health. More. 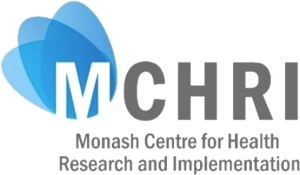 The Monash Centre for Health Research and Implementation (MCHRI) aims to undertake research and to implement and translate the generated clinical, health services and public health knowledge, underpinned by cross sector end-user engagement, to improve health outcomes. As a collaborative partnership between Monash University and Monash Health, located within the Monash Health Translation Precinct, MCHRI is unique non-disease, non-discipline specific “implementation laboratory”. More. The Master of Advanced Health Practice at SCU has been developed for individuals with a background in a health science discipline including nursing and allied health professions. The degree is focused on professional development to give current health practitioners a broad overview of the latest developments in various fields of health practice. Specialisations include Lifestyle Medicine or Clinical Leadership. More. 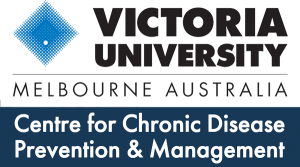 The Centre for Chronic Disease Prevention and Management (Centre for Chronic Disease or CCDPM / CCD) focuses on the physiological, psychosocial, cultural and economic aspects of chronic diseases. From basic findings through to translational research, it addresses the urgent need for research, action and intervention. The Centre works with and educates the wider community about lifestyle-associated diseases to improve quality of life and reduce the burden of chronic diseases. More. The Clinical Nutrition Research Centre (CNRC) at University of Newcastle offers Australia’s foremost expertise in the design and conduct of human intervention trials to evaluate cardiovascular, metabolic, anti-inflammatory and mental health benefits of functional nutrients, foods and nutraceuticals. The CNRC is a multi-institutional research collaboration aimed at consolidating existing research strengths, building partnerships with stakeholders, delivering translational research outcomes and setting a benchmark for research excellence. More. The AustralAsian Academy of Anti-Ageing Medicine (A5M) is dedicated to advancing longevity science, medicine and technology to detect, prevent, and treat ageing-related diseases and to promote research into methods to slow the human ageing process and promote wellness into older age. A5M is part of a global group headed by the World Anti-Aging Academy of Medicine (WAAAM) and the American Academy of Anti-Aging Medicine (A4M), a member-based organisation with over 20,000 physician and scientist members worldwide. More. The Australian Association of Smoking Cessation Professionals aims to promote optimal smoking cessation practice in Australia by trained health professionals incorporating evidence-based practice with an ongoing learning objective. More. The Australasian College of Nutritional and Environmental Medicine (ACNEM) is a post-graduate medical college which conducts post-graduate courses and workshops for medical doctors and allied health professionals in the application of the principles of Nutritional and Environmental Medicine. Full Membership is open to all registered medical practitioners. Associate membership is available to registered health practitioners with tertiary degrees, such as pharmacists, osteopaths, psychologists and registered nurses. More. The Australian Disease Management Association (ADMA) is a not-for profit self-funded organisation that provides a forum for disease management services and promotes programs, which improve chronic condition outcomes and quality of life and reduce acute health care utilisation and costs. ADMA was founded in 2004 with support from public and private health industry stakeholders to provide benefits and resources to its members to assist in the delivery of services, and to provide expert advice regarding chronic disease management in Australia. More. The Australasian Integrative Medicine Association (AIMA) is the peak medical body representing the doctors and other health care professionals who practice integrative medicine. Integrative medicine is a philosophy of healthcare with a focus on individual patient care and combining the best of conventional western medicines and evidence-based complementary medicines and therapies within current mainstream medical practice. AIMA is an independent not-for-profit organisation supported by its membership and governed by a board of voluntary doctors and academic leaders in the field of integrative medicine. More. The Australian Musculo-Skeletal Network (AMSN) exists to provide quality inter-professional development opportunities for practitioners, researchers and academics engaged in Musculo-Skeletal care. Our goal is to improve the delivery of health care to the community by providing up-to date and clinically relevant content that connects the research community with Practitioners and Practitioners with each other to improve patient outcomes. The AMSN’s Professional network will help you develop your evidence based practice and connect with your Musculo-Skeletal Colleagues. More. The Australian and New Zealand Obesity Society (formally known as the Australasian Society for the Study of Obesity or ASSO) was established in 1991. It is a scientific organisation of medical practitioners, dietitians, scientists and other health care professionals interested in obesity research, treatment or public health initiatives directed at the prevention of obesity. The Society has over 250 members throughout Australia, New Zealand and the Pacific Region. More. The Australian Society for Psychological Medicine comprises general practitioners and specialists from a variety of disciplines with an interest and skills in mental health care. The Society aims to provide an Australia-wide peer support network to help GPs to increase their competency and confidence in managing mental health problems. It encourages self-care for doctors and community awareness of the doctor’s role in mental health care. More. The Australasian Wellness Association (AsWell) is the peak industry body representing the Australasian sector of the $3.4 trillion global wellness industry. AsWell aims to create connections and foster wellness by providing an integration platform across our diverse industry including individual practitioners, small and large businesses, students, industry and community groups, disease advocacy and support groups, professional associations and non-government and government organisations in the context of their natural and built environments. More. 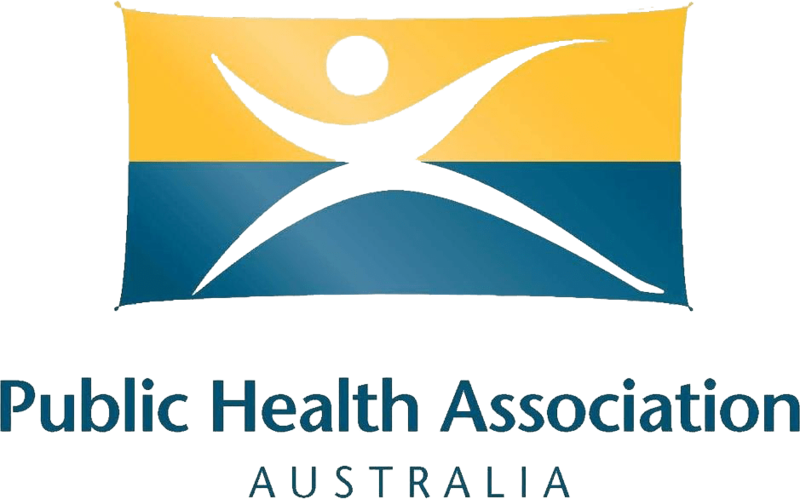 The Public Health Association of Australia is recognised as the principal non-government organisation for public health in Australia and works to promote the health and well-being of all Australians. The Association seeks better population health outcomes based on prevention, the social determinants of health and equity principles. More. 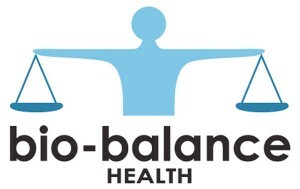 Bio Balance Health is a registered Charity supporting on a not for profit basis the training of Medical Doctors. Our programs incorporate Advanced Nutrient Therapy Protocols for Mental Health and Behavioural disorders, pioneered by the late Dr. Carl Pfeiffer and further developed through extensive research and clinical experience by Dr. William J. Walsh and his associates. The Doctor Training program is designed to educate medical doctors in an easily implemented program of appropriate history taking, testing and treatment protocols which are patient specific and designed to predict the appropriate treatment to enhance mental health outcomes. Through lectures and real patient assessments, our doctor training program enables doctors to confidently evaluate Laboratory testing, diagnose biochemical imbalances and design effective, individualised treatment programs. 2019 Doctor Training will be held 6-11 April 2019 at Bayview Eden Hotel, Melbourne. Registrations opening soon. 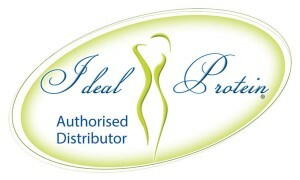 RACGP Accredited Category 1 40 Points. More. The Gawler Cancer Foundation and Yarra Valley Living Centre is a not for profit organisation that promotes a whole-person (holistic) and integrative approach to health, healing and wellbeing. Our mission is to improve the recovery outcomes and quality of life for people affected by cancer or multiple sclerosis and to educate people in the prevention of illness, through the delivery of our world-renowned, evidence-based lifestyle medicine retreats. In addition to our healing and wellbeing programs, we also offer professional development programs tailored to health practitioners looking to develop or extend their skills in the practice and delivery of mindfulness therapies. More. 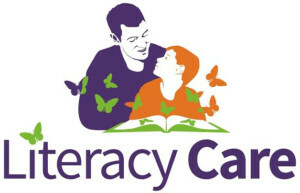 The Literacy Care Foundation is a new charity established to help build better futures for children with learning disabilities, particularly children with dyslexia. We do this by raising money and distributing the funds to families to help offset the cost of accessing support services. More. The Mindd Foundation, established in 2005, is a not-for profit Health Promotion Trust deeply committed to improving the lives of Australian families by promoting Integrative Healthcare, a holistic and individualised approach that treats the underlying cause and supports the body’s innate ability to heal and grow. This approach is a vital step towards wellness, disease prevention and the protection of human DNA. By recognising that disease is not totally genetic, we can take charge of our health and that of future generations. More. NCDFREE believes that chronic diseases pose an enormous threat to the future of humanity. It believes that overcoming this challenge is the fight of our generation. It believes that the key to winning this battle lies in creative new ways of thinking about global health. It believes that, with your help, we will win this fight. 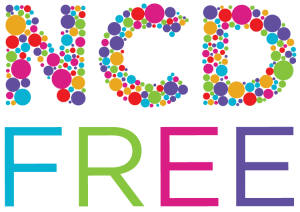 NCDFREE is a crowdsourced, crowdfunded global social movement dedicated to getting NCDs on the map of millennials everywhere. It does this through social media, design, short film and creative events. In its first 18 months, NCDFREE reached over 2.5 million people worldwide and made more than 10 short films! More. The National Institute of Integrative Medicine, or NIIM, is a Not-For-Profit organisation bringing together education and research in Integrative Medicine, as well as facilitating its practice at the NIIM Clinic. Our medical clinic, education and research facilities embrace an integrated approach for the prevention and treatment of disease. As national leaders in integrative medicine, we offer the best evidence-based conventional and complementary treatments for cancer, heart disease, dementia, diabetes and other illnesses. At NIIM, we empower people to take control of their health. More. The Quest for Life Foundation provides a range of residential programs and services that encourage, empower and educate people living with cancer or other serious illnesses, or who are suffering from grief, stress or trauma and for those who care for them. Quest for Life programs provide a proven, effective and holistic approach to creating physical, mental, emotional and spiritual health and resilience. Most people leave our programs with a deeper understanding of themselves and feeling confident in their ability to deal effectively with their challenges. More. The Tai Chi for Health Institute was founded by Dr Lam and many of his Tai Chi for Health colleagues with the sole purpose of empowering people to improve health and wellness through the Tai Chi for Health programs. Our programs are recommended by Arthritis Foundations around the world, CDC and National Council on Ageing. More.